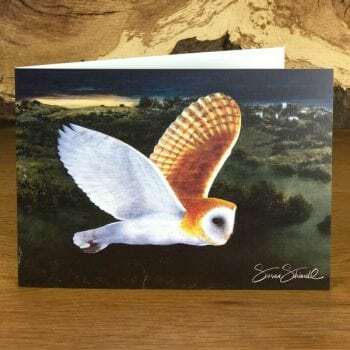 My Greetings Cards are left blank so that you may add your own message. The title of the artwork, name of the artist and logo are on the reverse side. 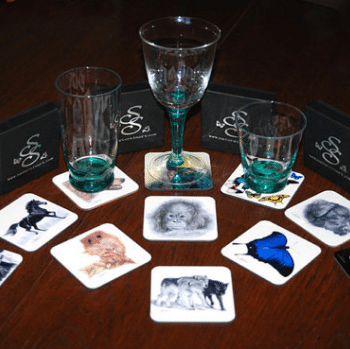 A selection of classy looking coasters to add style and character to your home, whilst also protecting your furniture from scratches and spills. Stylish Designer Quality crafted Fine Art Cushions and Covers. Unique. Luxurious. Decorative. 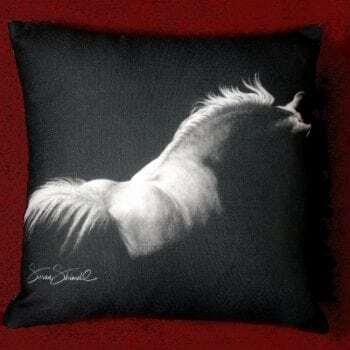 Give your home a new look with my stylish fine art design cushions. 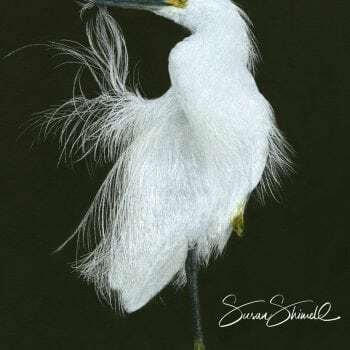 Please note that the writing "Susan Shimeld ©" does not appear as large as it is displayed, on the actual print. This is for copyright purposes only! My images are printed onto archival Hahnemuhle Fine Art Papers. 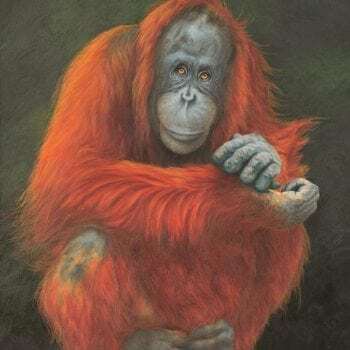 A Collection of Original Paintings: Wildlife, Natural History, Illustrations, Birds, Mammals. All Original Artworks are presented mounted and framed. 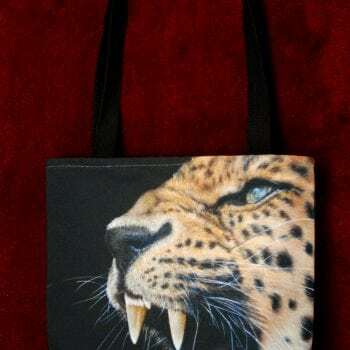 Stylish Designer Fine Art canvas bags. Quality crafted tote bags for all your day-to-day necessities. You don't have to sacrifice style for function with my modern and classy fine art tote bags. Stylish Designer Fine Art Bone China mugs. 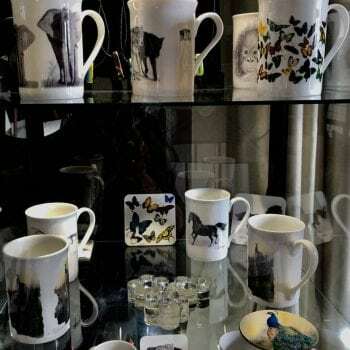 Luxurious and stylish mugs with unique, decorative fine art wildlife designs. Give your kitchen a new look and brighten up your day with a fresh tea or coffee in one of my stylish fine art mugs. Chunky European style mugs with fine art wildlife designs are also available.